Buro Bruno is de design studio van Bruno van Hooijdonk. Bruno heeft zijn design opleiding gevolgd aan de ArtEZ hogeschool voor de kunsten in Arnhem. Na zijn studie richtte hij in al in 1998 zijn eigen design studio Buro Bruno op. Bruno is een veelzijdig ontwerper van grote en kleine (sier)objecten, tafels, kapstokken, verlichting, kandelaars, vazen en sieraden. 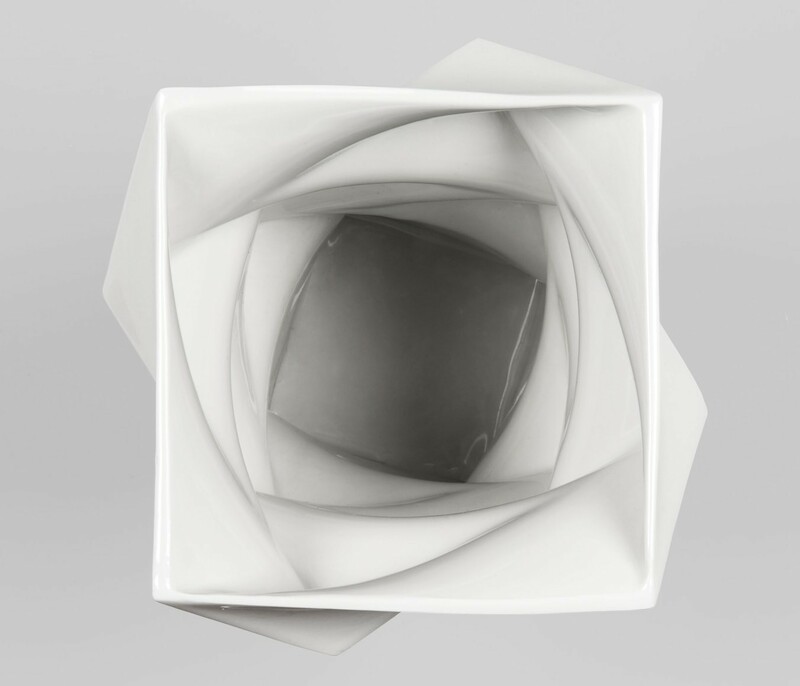 An intriguing eye catcher, a proper description of the Square vase. A dynamic and whimsical design based on square shapes that change size and position. 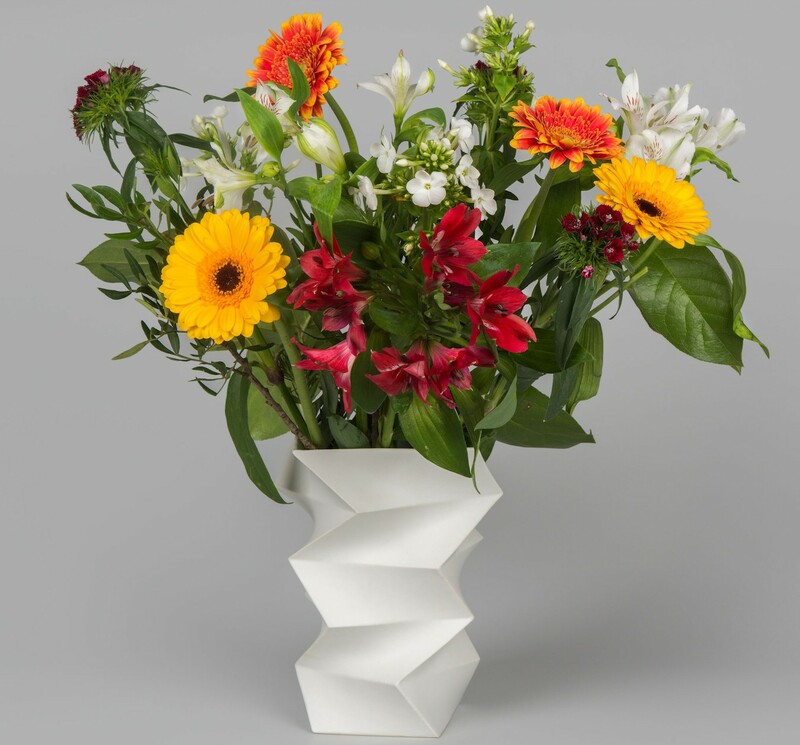 The Square vase is 21 cm high and made of matt white glazed porcelain. 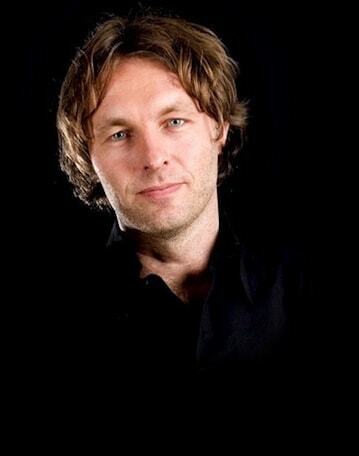 A design by Bruno van Hooijdonk of Buro Bruno. 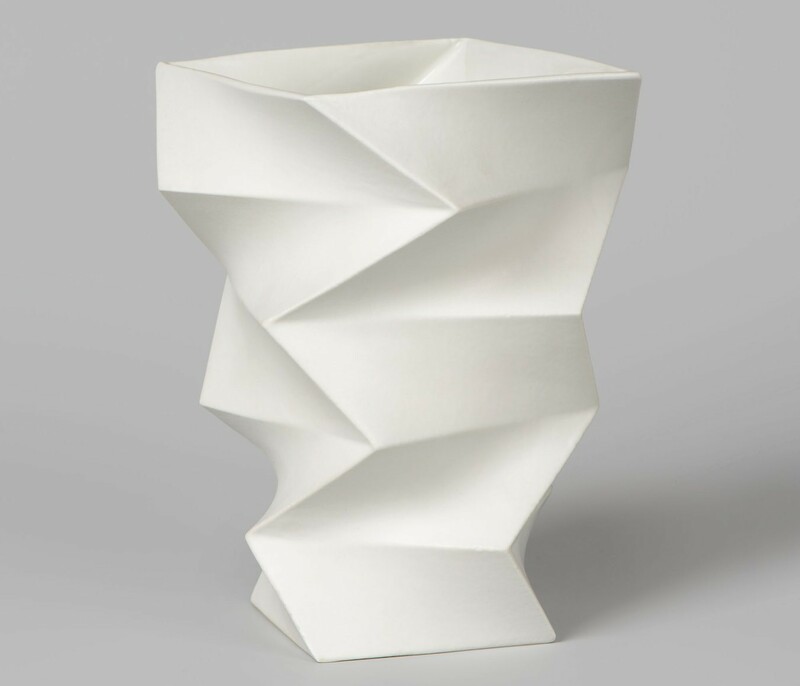 The square forms the basis of the design of the porcelain Square vase. The whole vase is made up of a square shape that varies in size and position from bottom to top. The squares are merged using design software. The vase looks erratic and impulsive, but is symmetrical and follows a strict design line. The dynamic form makes it difficult to get to grips with the structure. From any point of view the Square vase is different. Unique and intriguing. Porcelain is a specific form of ceramics, composed of kaolin (a recalcitrant, white clay), quartz and feldspar, and baked at a high temperature. Porcelain is thereby somewhat translucent, hard, non-porous and sounds clear, other than for example pottery. 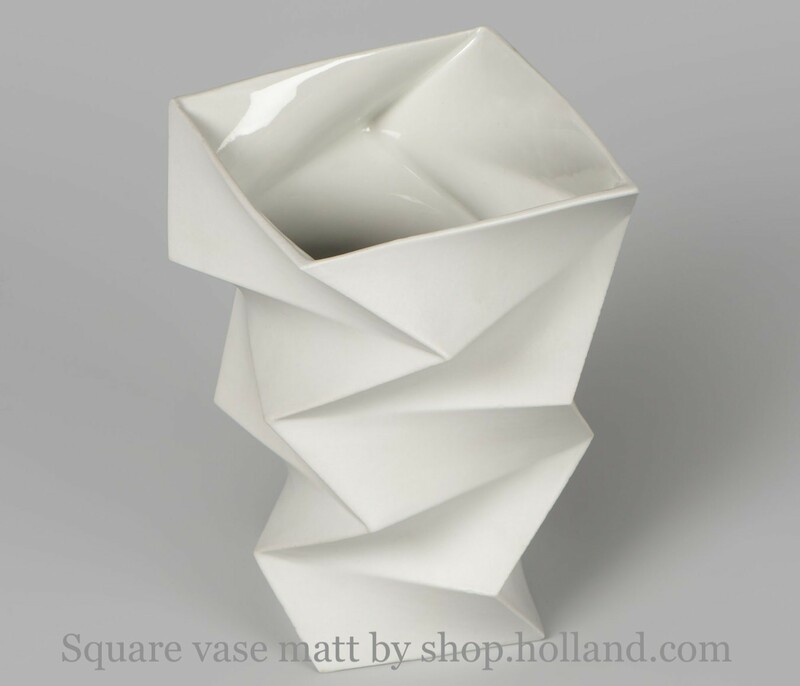 This Square vase is matt white glazed, there is aso a glossy one. 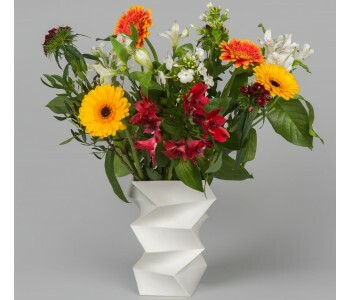 The Square vase was designed by Bruno van Hooijdonk. 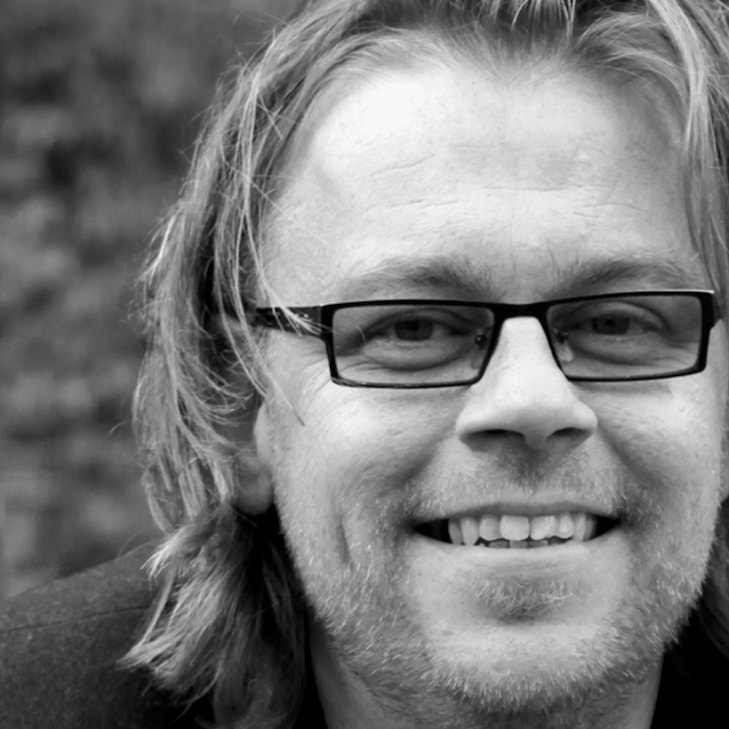 He had his design education at the ArtEZ Institute of Arts in Arnhem. After his studies he founded his own design studio Buro Bruno already in 1998. Bruno is a versatile designer of large and small (ornamental) objects, tables, coat racks, lighting, candle holders, vases and jewelry. He works often with metal as in the CCCLX series, but also designs in ceramic, plastic, and textiles. 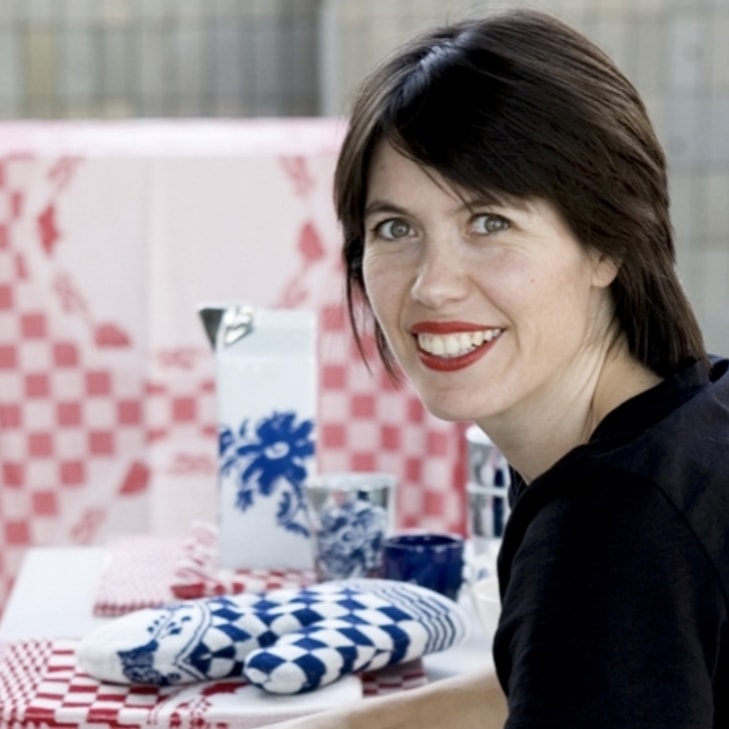 In 2006, together Harry Koopman, Bruno founded the design label Interior Adventures For Real (I.A.F.R.) that designs and manufactures furniture and lamps in an intuitive way with sense of style and history.